Hardwearing epoxy coated finish in blue. 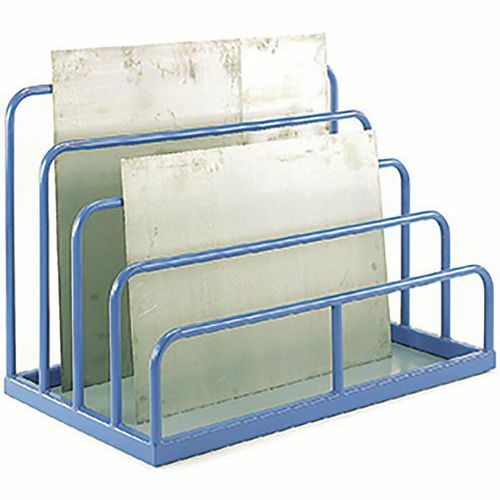 Sheet Rack System comes fully assembled, safely storing various heights of sheet materials. Support bar heights: 400, 550, 700, 850 and 1000mm. Sheet steel base and pre-drilled for floor fixing (fixings not supplied). Ideal for off-cuts and variable sized sheet and boards.